The MOTOGO Flip features 1.7-inch display with 128 x 160 pixel resolutions and comes with 50MB built-in memory and a microSD card slot that expandable up to 32GB. The Flip GSM phone sports 2MP rear camera and other features includes WiFi, Bluetooth, Email client, Speakerphone, GPS, Memory slot, FM Radio. 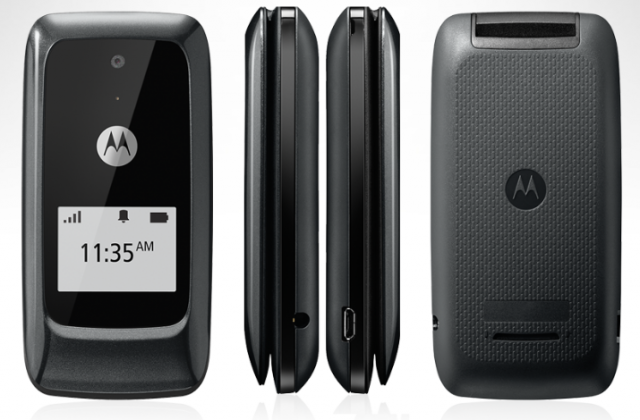 MOTOGO Flip comes with a standard battery which delivers 4 hours of talk-time and 8 days of standby. It weighs 99gms and measures 48.2 x 97.5 x 18.4mm. This Motorola clamshell phone is listed for retail price of $75 from Chatr Wireless. 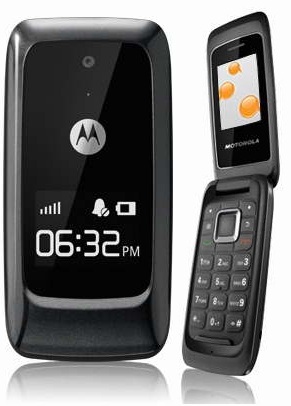 Tags:motorola motogo flip, motorola motogo flip features, motorola motogo flip specifications, motorola motogo flip review, motorola motogo flip details, motorola motogo flip availability, motorola motogo flip specs, motorola motogo flip images, motorola motogo flip pics, motorola motogo flip pictures, motorola motogo flip price, motogo flip W419G, motogo! flip.